A presentation of the book "Dialogue Heals Wounds" of the Father and Head of the UGCC, His Beatitude Svyatoslav, was recently held. The book is written in the style of an interview of the Primate of the UGCC with the editor of the Polish Catholic News Agency Krzysztof Tomaszik. 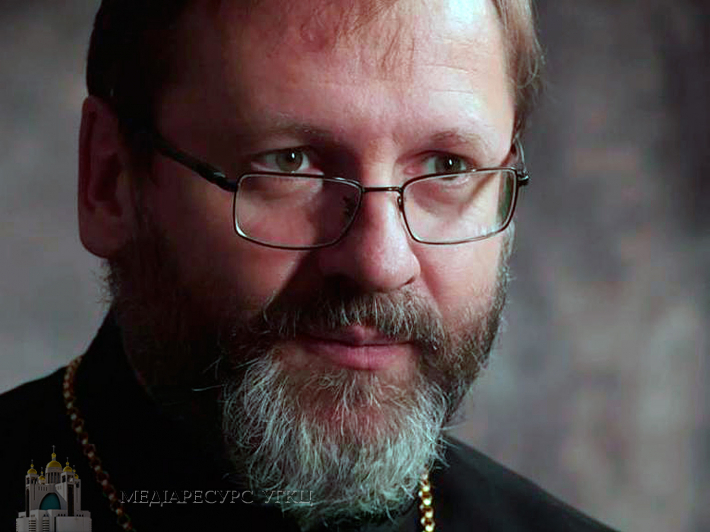 Here we offer for reflection ten statements by His Beatitude Sviatoslav on the war in Ukraine, the Russian-Ukrainian relations and the changes in the Ukrainian state which have taken place during this period. · When the war broke out, many young people directly said that Ukraine would never go back, never return to the past. And this is not a matter of electing certain politicians. The changes that have taken place are irreversible and there will be no return to post-Soviet reality. · Even in Russia, the aggressor state, they say that Russia has forever lost Ukraine when it launched a war against it. · Many Ukrainians only now realize that we are another nation and we must defend ourselves and build our own future. It now depends not on Russia, but primarily on ourselves. · Each region of Ukraine has its own color and specific heritage. But now, as never before, we begin to feel and understand that Ukraine is united around the idea of freedom and independence. · Changes are largely spontaneous, nobody plans them, so they become a big surprise even for Ukrainians themselves, as well as for our neighbors and domestic and foreign politicians. · Now in Ukraine, we are witnessing the birth of something new. This generates optimism, because it is better than what was yesterday. · The revolution of dignity has become a turning point in a long historical process and an answer to aggression under the slogan: "We will never allow anyone to treat us as slaves!" Now Ukrainian society asks: how should we build a new Ukraine? Which foundations should form the basis of a free and independent Ukraine? · The pain and hope, which we are experiencing during the war, make up not only the treasury of experience for Ukraine and Ukrainians, but also what we can share with our neighbors, both in the West and in the East. · Despite new challenges and difficulties, there is hope. There are positive and irreversible changes. We do not see a return to the Soviet Union, although there are still people who recall it with nostalgia. · My beloved +Lubomyr Husar, my predecessor, once said that for modern dictators, a hungry person is not as dangerous as a person who cares for her dignity. You can feed the hungry, but when it comes to the latter, either she is treated with dignity, or her life is taken away. You can not force her to live in a state where human dignity is trampled. You can buy a book of the Head of the UGCC "Dialogue heals wounds" at the church's online store using this link: shop-ugcc.com.ua/shop/diyalog-likuye-rani/.